Chipped 79 Series V8 Landcruiser. Turning the 79 series V8 Landcruiser into a torquey monster is what happened when the Unichip was installed. It has a 5 stage tune meaning it can be tuned to 5 different settings and those settings can be changed anytime by the push of a button, this is an extra option for the Unichip Q and very useful I must add! 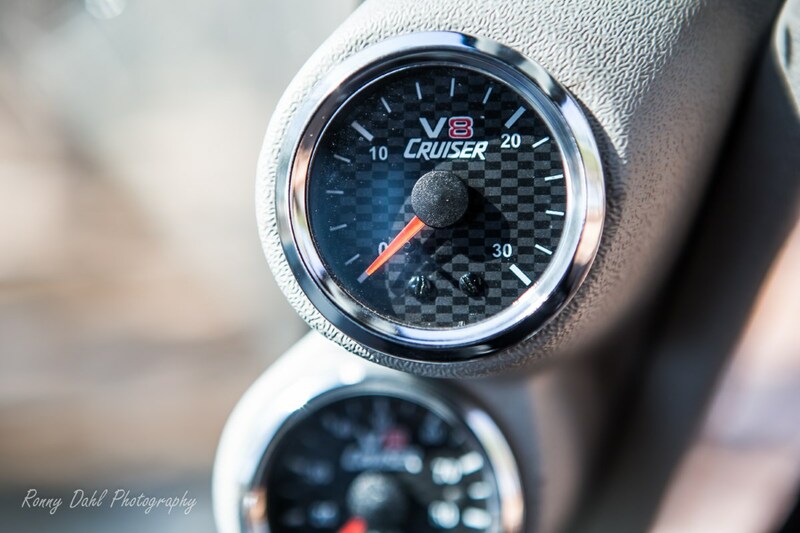 Our good friends at SS Auto Repairs installed the "Unichip Q" into the 79 series V8 and custom set my five settings for the cruiser. 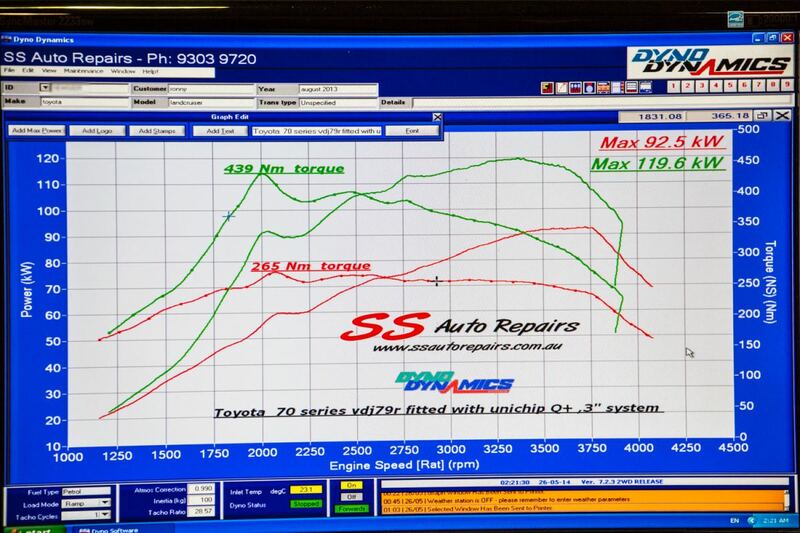 Everything was tuned with the Dyno and should only ever be installed by someone using a Dyno and even better when they actually custom tune to get the smoothest power & torque curves possible. 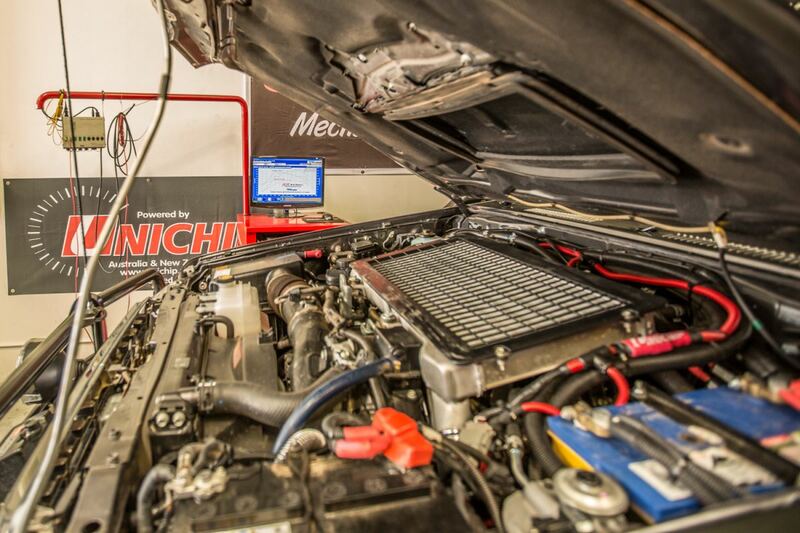 Without a Dyno run you won't actually know what the increase is and what it's doing to your engine! There was just one problem, the 79 series V8 Toyota factory clutch could not handle the extra 60-65% torque gain we achieved in the “tune 1” and kept slipping in 3rd and 4th gear. Travis from SS Auto sourced me an Excedy Heavy Duty Safari clutch which has about an extra 30% clamping strength and this has fixed the problem on the 79 series V8. Now I must stress that a HD clutch should only be required if wanting that MAX torque tune within safe levels as my daily drive tune (tune 2) will be a less sudden rise of torque and power as we want to achieve the smoothest torque gains and power gains possible. Tune 1 is mainly for those sand dunes that require the extra forces, that’s not to say tune 1 can’t be used for general on road driving as its well within the safe levels of boost, fuel air mix and engine/exhaust temps. #2 Daily driving with moderate boost 16psi with a smooth rise in torque and power (will be done soon). #1 30% extra HP and 65% extra Torque (rear wheel torque is 420nm while pushing 35inch rubber) new boost is at 17.5psi with a spike to 19psi. Using tune #1 I really notice the difference (well it’s a bit hard not to notice an extra 60-65% torque!!) as it just pulls away, it's like someone just removed the weight from the 79 series V8 cruiser and allowed it to breathe and don’t forget that the 70 series is pushing 35inches of mud terrain rubber! 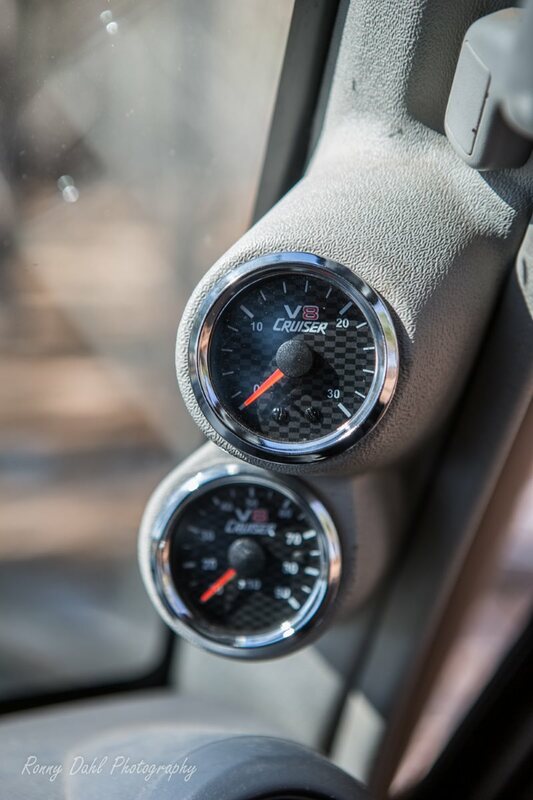 The boost is within the "safe zone" and the EGT's are low (exhaust temp) so there are no dangers of overheating and if the unlikely event was to happen I have the gauges there to warn me well before it could become a problem. The 70 series 4.5l V8 is under powered from stock and really handles the tune like it was made for it. Those gains are simply awesome! Once I have had a chance to run a fuel economy test on the two different tunes (tune 1 and tune 2) we will update this page, I expect better fuel usage as there is now less right foot required. However for the time being I will be testing the cruiser off road as much as possible. SS Auto Repairs is the north of Perth agent for Unichip in Western Australia. Or See This Page For More Information. Basically what we have done is installed the Q+ piggyback ECU and we have tapped into the wiring between the ECU and engine. 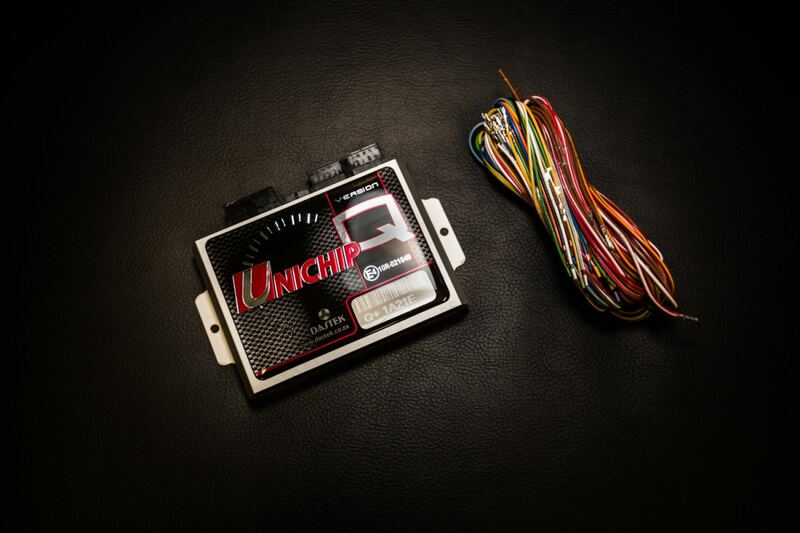 We are manipulating the injector timing and also manipulating the boost map through the map sensor circuitory which gives us options to get the boost exactly where we want, when we want. This is also the same as the fuel curve in the ECU, we can take the fuel in or out exactly where we want to maximise the engines efficiency to generate peak torque and power output at each load cell. As you can see when you watch the video, if you watch the go pro camera at the back you will see at no stage does the engine emit black smoke out the back which would indicate a rich tune which in turn would generate quite high EGT’s. Generally speaking, diesels that run rich will generally end up creating high EGT’s . With Ronny’s car given the weight approximately 3.3 tonnes, our goal was to keep it safe as it is a reliable tourer and offroad vehicle but at the same time, he wanted that large rush of torque so on the event that when he needs to power he has got it. What we have gone for with Tune 1 is a large increase in torque with a boost spike of 19psi then we get more control over the boost and we fade it back down. This is the same with the fuel, we are not extremely rich on the fuel we are running a 20/1 air fuel ratio which is very safe hence why if you look at the rear go pro footage it isn’t rich at any stage. Under a constant full load, the EGT’s don’t even go over 450 degrees Celsius which is why we refer to it as a safe tune. 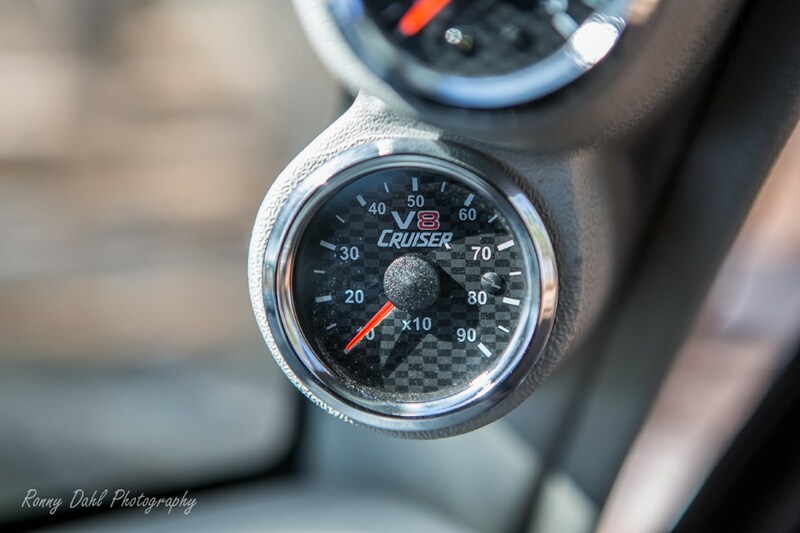 As you would see form the video, the vehicle is fitted with custom boost gauges & an EGT gauge so Ronny can monitor this at any stage he wants. Generally the factory tune would run around 350 degree Celsius so we have gained around 100 degrees but in relation to where we are at with torque and power you are going to see gains in EGT’s so as soon as you put more fuel and boost in the engine you are going to see gains there but still at a very safe level. What we have left with the Unichip Q+ is the ability to add to it at a later stage and the plan is there is still more power and more torque to be had when we run an overdrive circuit on the diesel injectors will give us more control again but that is to come later in the future. With tune 2 what we are going to factor in there is a more smoother curve that isn’t so aggressive. For the power output, it will still have the power it just won’t have the power early on so you won’t see that really steep rushing torque, you will have a bit more of a gradual roll on which is intended for more on road drivability and give you a nice strong smooth torque pull,, rather than a rush but obviously when you want that power off road you want it as early and as fast as you can get it, as you need it. 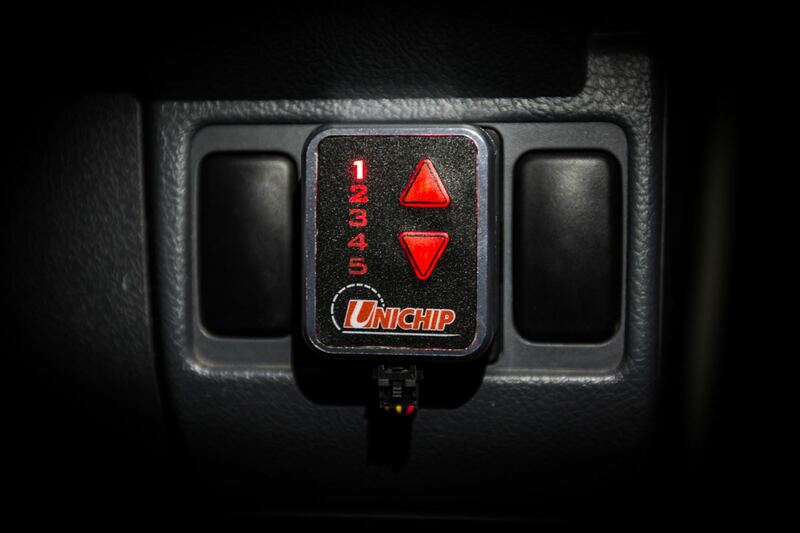 The injector driver circuit is something that will give us more control again, hence going back to the ability of the Unichip we can add to it at a progressive rate or you can do it all at once, it is completely customisable at whichever stage and when you want. Stay tuned for more results to come. Leave 79 Series V8 And Go 4 Wheeling In Western Australia.